The River Terrapin (as Batagur baska) has been listed as Critically Endangered throughout its range (A1bcd) since the 2000 IUCN Red List, based on a range-wide evaluation in December 1999 that included the populations now attributed to B. affinis. 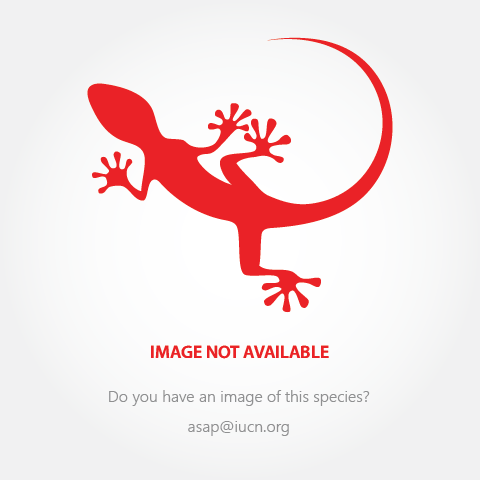 International trade in this species is prohibited by CITES, which lists B. baska (which includes B. affinis) on Appendix I (i.e., prohibited in international commerce by signatory nations). The United States federal listing of B. baska as an Endangered Species prohibits trade in the species to the USA. An action plan for the river terrapin (B. baska and B. affinis) was prepared by Platt et al. (2006). In most of these laws, regulations, and assessments the species is listed as Batagur baska, the name to which these B. affinis populations were previously attributed. Batagur affinis affinis occurs along the western coast of Peninsular Malaysia and eastern Sumatra in Indonesia and southernmost Thailand (Moll et al. 2015). Batagur affinis edwardmolli is distributed along the eastern coast of Peninsular Malaysia and the Songkhla region of adjacent southernmost eastern peninsular Thailand bordering the South China Sea, and Cambodia, where a relict population survives in the Sre Ambel River system. Formerly it extended into the Mekong delta of Vietnam (where a few animals may still persist), with the species occurring upstream to Tonle Sap Lake in Cambodia. Additionally, archaeological turtle fragments from the lower Bang Pakaong River of southeastern Thailand have been identified as Batagur, suggesting that B. affinis historically inhabited all major rivers draining into the South China Sea. The isolated and now extirpated population of river terrapins from the southern Myanmar-Thailand border on the northwestern shore of the Malay Peninsula described by Nutaphand (1979) as the subspecies B. b. ranongensis is most likely attributable to the Northern River Terrapin, B. baska. Subpopulations of Batagur affinis are severely depleted throughout its range and extirpated from many former areas of occurrence (Moll et al. 2015). In Cambodia, a small subpopulation was rediscovered in the Sre Ambel and Kaong River system in 2001 (Platt et al. 2003), and a juvenile was found in the Stung Proat River in neighbouring Botum Sakor District (Holloway and Sovannara 2004). Heng Sovannara (pers. comm.) reported that over a five-year period (2002–2007) 23 nests were found on the Sre Ambel and Kaong Rivers, an average of 4.6 (range, 3–7) nests per year. However, only a single nest containing 23 eggs was found along the Sre Ambel in 2009 (Sovannara and Gately 2009). In Thailand, Nutaphand (1979) reported that remnant river terrapin populations persisted in only three provinces, Phattalung, Songkhla, and Ranong. In a 1989–90 survey, Nutaphand found evidence that Batagur still occurred in two provinces near the Malaysian border, Phattalung (Pattharung) and Satun (Satoon) (Nutaphand 1990a, Moll 1990). Thirakupt and van Dijk (1994) and van Dijk and Palasuwan (2000) declared B. affinis to be extinct in the wild in Thailand, although Kalyar et al. (2007) reported a few wild individuals persist in the Klong Langu River. In Malaysia, B. affinis was once very common on the major rivers throughout Peninsular Malaysia (Boulenger 1912, Moll et al. 2015). However, since the end of World War II the species has undergone a major decline and populations in the western river drainages are currently Critically Endangered. 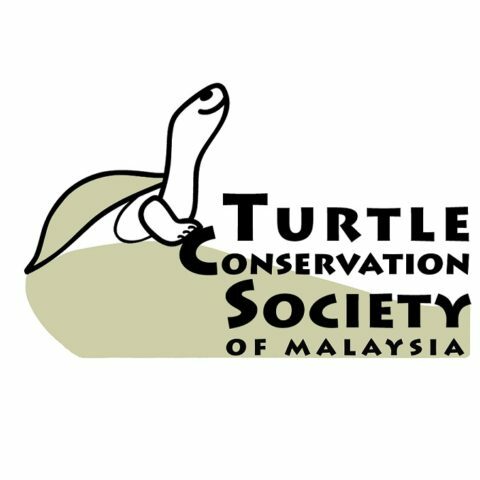 Exploitation of adult river terrapins in Malaysia has been less than in some countries of the region for several reasons. Islam, the predominant religion in Malaysia, teaches that the flesh of amphibious animals is “haram” (forbidden by religious law). Eggs, on the other hand, are considered a delicacy and thought to have aphrodisiacal properties. Throughout the 19th and early 20th centuries, harvesting of “tuntung” eggs was the prerogative of royalty, and nesting beaches were protected from general exploitation. The case of the Perak River population in Malaysia was likely typical of what occurred throughout the country during the War (Moll et al. 2015). Prior to 1940, the nesting terrapin population probably exceeded 10,000 turtles, and some 375,000 to 500,000 eggs were laid annually on Perak sandbanks (Loch 1951; Khan bin Momin Khan 1964; Moll 1978, 1980, 1985; Siow and Moll 1981; Moll and Moll 2004). However, during the Japanese occupation food was scarce and previously unexploited sources of protein (such as the river terrapin) were heavily utilized. By the end of the war, B. affinis populations had been decimated. A survey conducted in 1976 estimated the numbers of nesting females to be between 400 and 1200 and egg production on the Perak River at less than 20,000 per year (Moll 1980). In 1989–90 the river terrapin population on the Perak River laid 25,098 eggs in 923 nests. Depending on whether these turtles average one, two, or three clutches per year, this would place the number of nesting females at between 307 and 923 (Moll 1990). In 1990–91 20,608 eggs were laid in 849 nests, indicating between 283 and 849 females in the nesting population. In 1999, only 677 nests were reported. Hendrie (2004) visited nesting sites on three Malaysian Rivers in February of 2004. On the Perak River, he reported that only eight nests were found in 2003 and that 20 had been reported as of 2 February in 2004 (near the end of the nesting season). More recent data provided by the Department of Wildlife and National Parks (DWNP) to E.H. Chan indicate no more than 40 wild nests were found from Perak River sand banks between 2005 and 2009. After 2009 no records of wild nests were available. Captive females at the Bota Kanan facility made 35 to 55 nests per annum between 2010–2013. Also in Malaysia, on the Terengganu River, an island known as Pasir Lubok Kawah was for many years the most productive nesting beach for river terrapins. According to the staff at the Bukit Paloh Hatchery in Kuala Berang, an average of 60 females nested there annually from 1976 until 1987. Completion of a large dam upriver from the site in the early 1980s led to progressive erosion of the island until nesting suddenly plummeted with only seven females nesting there in 1988 and 1989 (Moll 1990, 1997). Due to the damage to nesting beaches along the Terengganu River, the hatchery and head-starting programme of the Terengganu Department of Wildlife and National Parks (DWNP) shifted some of its egg collecting to the Dungun River. However, recent data from the DWNP suggests a reversal of nesting decline on the Terengganu River. In 2008, 99 nests from 95 females were recorded, representing the highest nest numbers since river monitoring began in 1977 (Chan et al. 2008). These numbers have been maintained from 2009 to 2013, with numbers of nests ranging from 80 to 97 annually. In the Dungun River 30 to 49 nests have been recorded annually from 2009 to 2013 (DWNP data to E.H. Chan). The Setiu River in Terengganu has been monitored for nesting activity since 2004; Chan and Chen (2011) reported that from 2004–2009 the number of nests per year ranged from 17–30. This has dropped to no more than 10 in recent years. A newly discovered population in the Kemaman River has yielded 36–121 nests per year between 2012–2014 (P.N. Chen, unpubl. data). Subpopulations no doubt historically occurred in the mangrove swamps surrounding Singapore, but are now evidently extinct (Lim and Das 1999, Ng and Lim 2010). Introduced subpopulations of unknown size are apparently present in several inland reservoirs; whether or not these animals are reproducing has yet to be determined (Ng and Lim 2010; B.D. Horne pers. obs.). Relatively few localities are known for B. affinis in Indonesia, all of them from the eastern portions of Sumatra (Moll et al. 2015). Mistar et al. (2012) conducted surveys of North Sumatra, Riau, Jambi, and Lampung provinces along the eastern coast of Sumatra and concluded that although historically present, B. affinis is now most likely extirpated from this region. Habitat along the rivers of eastern Sumatra has been heavily impacted by human settlements and sand mining. However, terrapin eggs (presumably B. affinis) were available for sale in local markets in 2010, and according to information received from local fishers a remnant population of B. affinis may still persist in the Indragiri River and mangrove swamps around Mumpa (Enok District, Indragiri Regency). Moll et al. (2015) provided an extensive review of the many threats to Batagur affinis. The species is heavily exploited both for its flesh and its large eggs, and also threatened by habitat destruction, sand mining, and construction of hydropower dams (Moll 1990, Moll and Moll 2000, Sharma and Tisen 2000, Iskandar and Erdelen 2006, Platt et al. 2008). In Thailand (Moll 1990) both types of exploitation have been significant and the species has been largely extirpated from the wild in that country, except for a small relict population in the Langun River area (Kalyar et al. 2007). 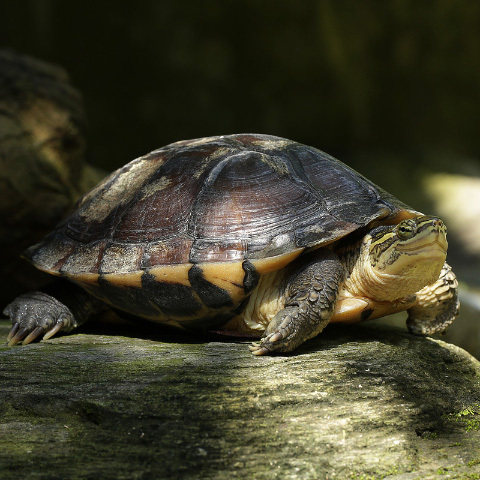 In Malaysia religious beliefs and customs have reduced the killing of adult turtles for food. Sharma and Tisen (2000) listed dam construction, egg harvest, removal of riparian vegetation, sand mining, and incidental drowning in fishing nets as among the most important threats to the turtle. However, with the recent vast demand for turtles for consumption in China, poaching likely has been taking a steadily more significant toll (Rhodin 2000, van Dijk 2000, Compton 2000, Turtle Conservation Coalition 2011, Horne et al. 2012). The exploitation of the eggs in Malaysia became highly organized from the 1970s into the 1990s and included licensing of nesting beaches and commercial selling at rural and urban markets (Siow and Moll 1981; Moll 1984; Moll and Moll 2000, 2004). As of 2009, three licenses for collecting terrapin eggs were still given out to local villagers on the Perak River. The extent of poaching in Malaysia, due to its illegal nature, is not known but is likely significant, especially along the west coast, which has a larger Chinese population. Law protects the species, but enforcement in tidal areas tends to be lax. Interviews with riverine dwellers near Telok Intan (Moll 1990) indicated that terrapin caught incidentally by fishermen are often sold. Some fishermen purposely set nets for the terrapin (blocking small tributaries following high tide) while others fish for the turtle with hooks baited with mangrove fruit (e.g., Sonneratia sp.). An informant told one of us (EM) that, during an unusually dry period when the Perak River was low, a truckload of terrapins had been taken from the Telok Intan area. 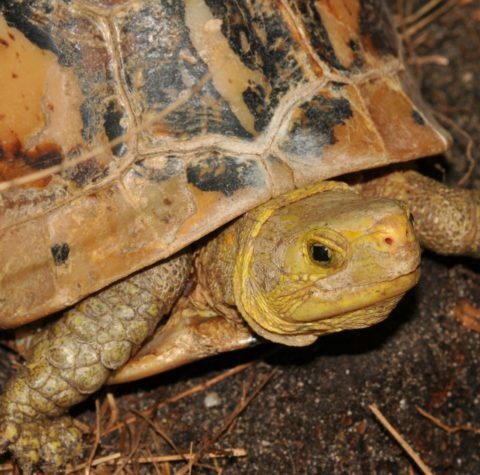 Egg collectors at Bota also claimed that female terrapins are being captured as they migrate upriver to nest. Their captors keep them in captivity until they lay their eggs. In some cases these captors reputedly beat on the turtle’s shell and hang them by their necks in order to make them drop their eggs. Other turtles are slaughtered to obtain the eggs. 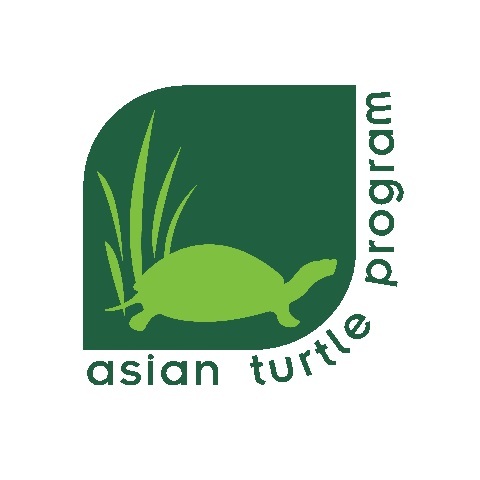 Habitat alteration and destruction have become increasingly significant factors leading to the decline of river terrapins in many areas of Asia. Sand mining and dams are among the worst threats. Commercial sand removal for construction purposes is destroying nesting beaches throughout tropical Asia (Moll 1984, 1990, 1997). Dams located downriver from nesting sites prevent migrations between feeding and nesting sites. Dams upriver from nesting sites do not allow sand to move down river to replenish that lost to erosion or sand mining at nesting beaches. The Kedah River in Malaysia exemplifies the above problems. Dams have been built both above and below the nesting areas and sand mining has destroyed all significant nesting beaches (Moll 1984, 1987, 1997; Moll and Moll 2000, 2004). Other important indirect factors include deforestation and siltation of rivers. On Malaysia’s Perak River the combination of deforestation and tin mining has led to a major increase in the silt load that may be the cause of increased and unseasonal floods. Unseasonal floods are particularly damaging if they occur during the nesting season, when a high percentage of the annual reproductive effort may be destroyed. A 1967 flood not only destroyed the entire reproductive output on the Perak River, but also destroyed 200 eggs in the state Game Department’s hatchery (Balasingam and Khan bin Momin Khan 1969, Khan bin Momin Khan 1977). Additionally floods deposit silt on nesting beaches that promotes the growth of tropical grasses on the sand. As nesting river terrapins require open sand banks for nesting, these grasses effectively destroy former nesting sites (Moll 1997). Habitat destruction is also a problem in the feeding areas of the estuary. Clearing banks of vegetation in downstream areas has lowered the river’s productivity and carrying capacity by directly eliminating food sources. In the Perak River, plantation clearance has destroyed riverside mangroves on which the turtles feed, and replaced them with rip rap (large rocks) to control erosion. Commercial prawn farms are transforming mangrove swamps into ponds. Tidal barrages have also been built which block entry into many of the small tributary streams where river terrapins feed during high tide (Lim and Das 1999; Moll 1984, 1997; Moll and Moll 2000, 2004). A highway currently being constructed in Terengganu may affect nesting in the Terengganu River due to light pollution. Lights from a water treatment plant in the Dungun River illuminate the major nesting banks in Pasir Kumpal and Tok Chu. The plant has recently agreed to shut down this lighting during the nesting season (Chan, unpubl. data). A large shrimp farm occupying 1000 hectares along the Chalok River (a branch of the Setiu River in Terengganu) has recently begun operations (Chan, pers. comm.). Its construction was approved despite opposition of conservation organizations such as WWF and many individuals. Huge marine shrimp farms located on the banks of rivers discharge effluents that can potentially increase salinization while introducing microbial pathogens and residues of chemicals and drugs. The water chemistry of the river is altered and the potential nutrient loading can cause eutrophication. Any increase in salinity is likely to impact the vegetation on which terrapins feed. Due to these concerns, the Department of Environment Malaysia in 2013 required this new shrimp farm to construct a discharge channel directly into the ocean.